Overport SRS Primary declared 26th April 2013 “Denim for Diabetes” Day to bring awareness to the increasing number of children who are diagnosed with Diabetes. In a special assembly held at school , learners were educated on the symptoms and treatment of Diabetes. Pictured are : ( Back row L-R ) educator and co-ordinator Mrs S.D,Lutchmen , Mishra Mohammed (learner) , Halima shaik (guest speaker), Ms. S.Subban (educator). 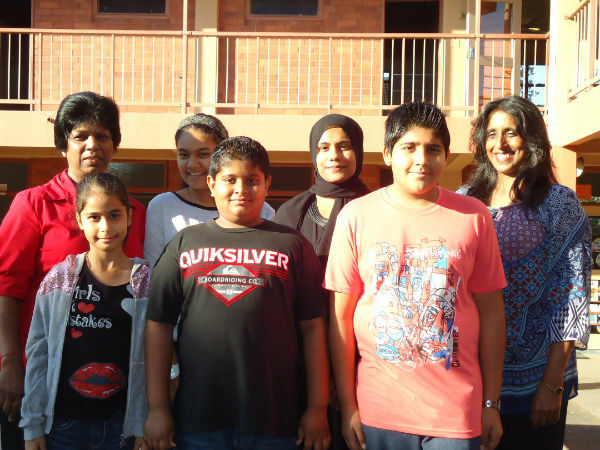 (Front row L-R) are leraners Nadia Vally , Arshad Mahomed and Raees Mahomed.